An Israeli border police officer sits in an ambulance in Jerusalem, early Thursday, Nov. 15, 2018. Police said they arrested an assailant who stabbed and lightly wounded an officer in the station, located in the Armon Hanatziv neighborhood. A knife-wielding Palestinian attacker snuck into a Jerusalem police station and lightly wounded four police officers before he was shot and captured, Israeli police said Thursday. The assault came on the heels of a fragile truce that was reached between Israel and Islamic militants in the Gaza Strip that ended two days of heavy fighting, the area's most severe violence since the 50-day Gaza war in 2014. Police spokesman Micky Rosenfeld said the knife-wielding attacker climbed over the station's fence late on Wednesday night and began stabbing officers inside. Other officers then shot the assailant and captured him; he was later taken to hospital. 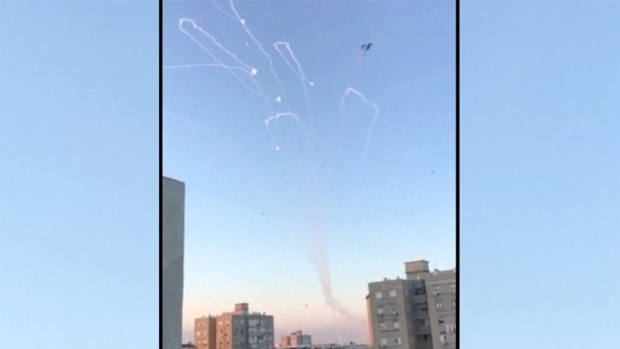 In the two days of heavy fighting, Palestinian militants had fired 460 rockets and mortars into Israel, while Israel carried out airstrikes on 160 Gaza targets. Seven Palestinians, including five militants, were killed. 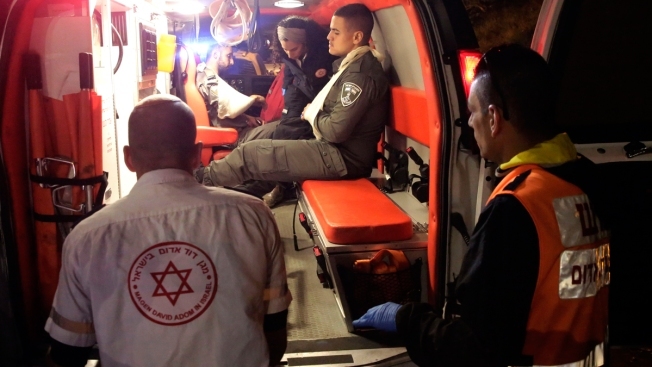 A rocket fired from Gaza killed a Palestinian laborer in Israel. The cease-fire led to the resignation of Israeli Defense Minister Avigdor Lieberman, who had demanded a far stronger Israeli response to the Palestinian rocket onslaught but appeared to have been overruled by Prime Minister Benjamin Netanyahu. The resignation threw the government into turmoil and pushed the country toward an early election. Netanyahu presented the decision to step back from a full-blown conflict as a unified one made by his Security Cabinet and based on the military's recommendations. But Lieberman and fellow hard-liner Naftali Bennett later expressed reservations, saying they favored a stronger response. Hamas has staged near-weekly border protests since March in an effort to lift the Israeli-Egyptian blockade imposed after the Islamic militant group seized control of the coastal strip in 2007. This has inflicted heavy damage on Gaza, but Hamas remains firmly in power. Demonstrators each week approach the border fence, throwing firebombs, grenades and burning tires at Israeli troops. Israeli snipers have killed about 170 people, most of them unarmed.